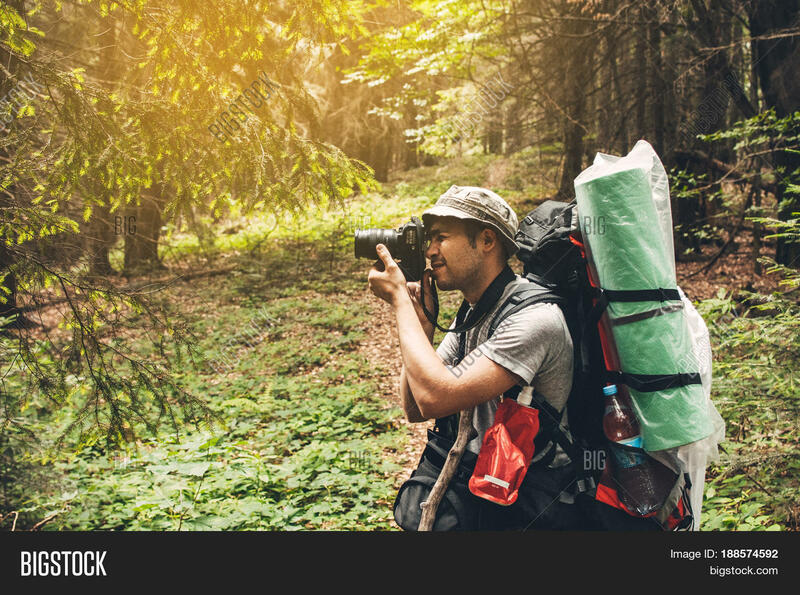 Photographer in the forest. Guys in nature photography forest environment, enjoying the beautiful spring day. 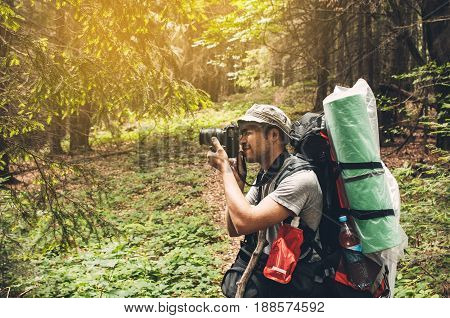 Man photographer taking photo of nature. Horizontal shape, side view, copy space.